I love playing around with abstract blocks. 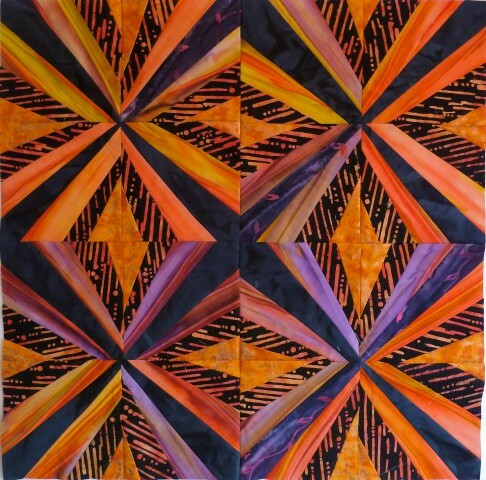 This is a “liberated” blocks, following Gwen Marsten’s ideas for liberated quilting. The block arrangement and striped fabric form some wonderful secondary patterns.